With the big game about to kick off this Sunday, many of the Super Bowl 50 adverts have already been released with extended versions online. Bursting with celebrities, some of the best include actor Willem Dafoe portraying a hungry Marilyn Monroe in a Snickers’ advert and Christopher Walken as a ‘Walken Closet’ in Kia’s advert. To get in the mood for Sunday when all of the adverts will be released during the half-time show, we’ve selected just some of our favourites that include great pre-cleared music. Audi’s spot sees their R8 V10 plus transform into a space rocket in this surprisingly emotional yet feel-good campaign. In the advert, we’re introduced to a retired astronaut who is wistfully dreaming about his younger days in space and refusing to eat. To cheer him up, his son takes him out for a drive in his new Audi car. It does the trick and memories of space travel flood back to him, as the car speeds off into the distance. Set to the late David Bowie’s ‘Starman’, the advert is emotional in its depictions of lost youth and the coupling of the power sync license. Yet by comparing the car to a space rocket, we’re also reminded how great it feels to drive an Audi. Actor and comedian Kevin Hart transforms into the ultimate over-protective dad in Hyundai’s Super Bowl spot. While Hart stalks the next ineligible boyfriend for his daughter utilising the Hyundai Genesis’ car tracker, Queen’s ‘Another One Bites the Dust’ tells the whole story. Pesky mobile providers get in the way of Drake’s ‘Hotline Bling’ music video in T-Mobile’s Super Bowl spot. 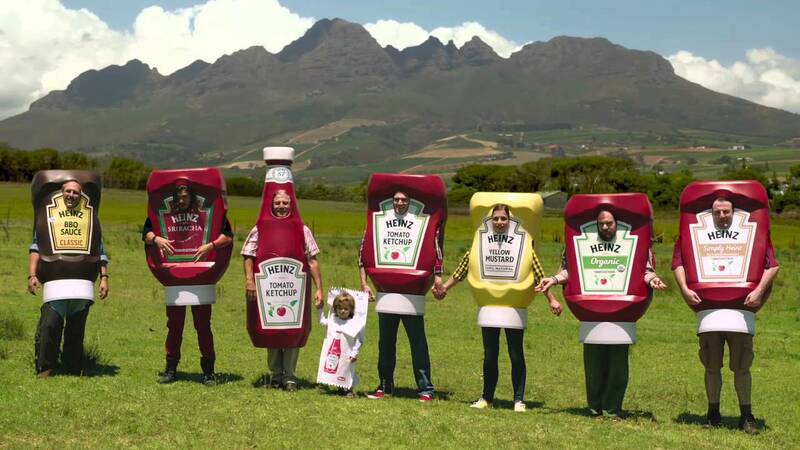 The advert takes place on what appears to be the set of the infamous music video that generated thousands of memes and parodies across the Internet, with Drake changing the lyrics to fit the mobile provider’s wishes. Through sync licensing the track, T-Mobile has successfully jumped onto an on-topic moment in today’s pop culture and portray themselves as a youthful, social media orientated company. Wiener dogs (the American nickname for Dachshunds) transform into real-life hot dogs in this cute advert for Heinz ketchup. With a clever pre-cleared track, ‘Without You’ by Harry Nilsson set to slow-motion running, it’s clear that the only match for a hot dog is Heinz in this story.